Daily contact lenses are lenses that you wear during the day and take off at night. Whereas daily disposable contact lenses are lenses that you wear every day and throw out after one use. Over the years, as the technology has developed, the options for daily disposable lenses has become greater and the pricing cheaper. With daily disposable contact lenses, you get fresh a pair of contact lenses in your eye, every day. They are much more convenient and comfortable as there is no need to hassle with contact solution, making it an easy experience. For these reasons, we have been pushing our patients to consider daily disposable contact lenses. The cost is not what it once was and most brands offer a rebate program. 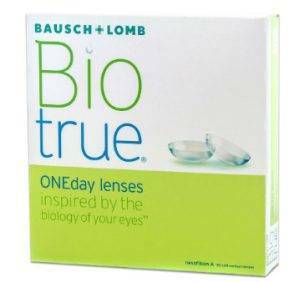 We generally like to push Dailies Total 1 and Bausch + Lomb Biotrue ONEday, as contact lens brands that are nice and moist lenses, that are proven to prevent your eyes from drying out. Give us a call to set up a consultation and eye exam to discuss further. 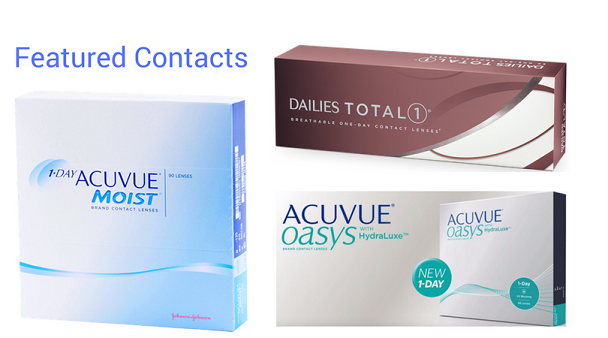 We are happy to be your one-stop solution for daily disposable contact lenses in Orlando, FL. 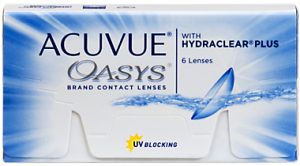 ACUVUE OASYS provides an ultra-smooth, soft surface, and helps your eyes retain their natural moisture. ACUVUE OASYS features the next generation HYDRACLEAR® PLUS Technology that can keep eyes comfortable all day long. ACUVUE OASYS delivers crisp, clear vision all day long. Alcon’s Dailies Total 1 ® is the first and only water gradient contact lens. It has a silicone core, sandwiched between an outer and inner layer of an ultrasoft hydrophilic surface that boasts greater than 80% water content. The lens is incredibly breathable with a Dk/t of 156. 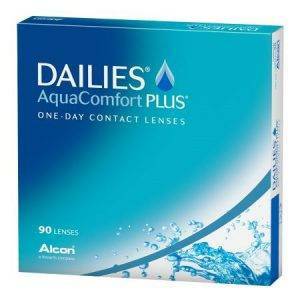 Dailies Total 1 for patients that suffer from contact lens-related dryness and for patients that have difficulty tolerating sustained contact lens wear. Moisturizes with every blink.Refreshes all day. 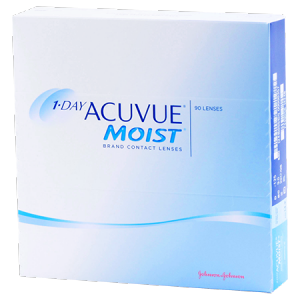 1-DAY ACUVUE MOIST is the perfect combination of comfort and performance in a daily disposable lens. A Fresh Start Every DayOur daily disposable lens offers a fresh, new-lens feeling every day. Provides protection from the sun by blocking harmful ultraviolet rays.